The Barotse National Freedom Alliance (BNFA) has expressed concern at the continued detention of nine of its members in Livingstone who were charged with unlawful assembly close to two weeks ago. BNFA Secretary General Mwiya Katukula wondered why the nine members have been detained all this long for merely holding a press briefing. He called on African leaders to reflect as the continent commemorates the Africa Freedom day on 25th May as many people are denied the right to freedom of expression and assembly. 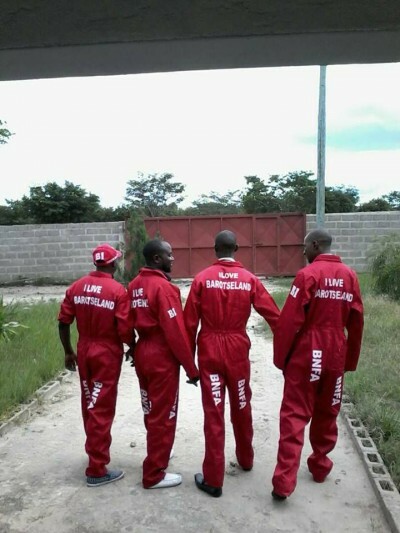 The nine BNFA activists who were arrested in Livingstone by Zambia police are Col. Lubasi, Ndopu Sanjola, Pastor Elliot Mbulana and George Akufuna. George Akufuna is the BNFA Regional Chairperson in Livingstone. Others are Bonny Silumina, Kebby Sishekanu, Phelim Kaungu, Ms Mukubesa Mubita and Mrs Yubai Mutukwa. The first four were arrested on Thursday 10th May, 2018 while the last five were arrested last week. They were charged with possession of seditious materials but after searches at their residences yielded nothing, the charges were changed to unlawful assembly. On 5th May 2018, Mr Mutungulu Wanga held a meeting in Livingstone at Mukuni Park to solicit for support for the planned dialogue on the 1964 Barotseland Agreement between the Zambian government and the Barotse Royal Establishment (BRE). The BNFA leadership in Livingstone reacted by calling for a press briefing to respond to matters brought up by Mr Wanga but were rounded up and arrested by the police. Southern Province Police Commissioner Bonny Kapeso has up to now not issued any statement on the arrests.